The Wine Advocate - This 1999 is deep ruby/purple-colored, with a striking perfume of black cherries, truffles, cedar, and vanilla. This layered, opulently-textured wine displays extraordinary purity, elegance, and finesse. 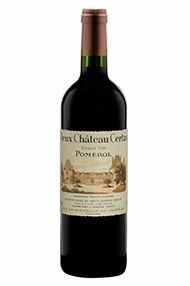 It is a classic Bordeaux with superb palate presence that builds incrementally on the palate. 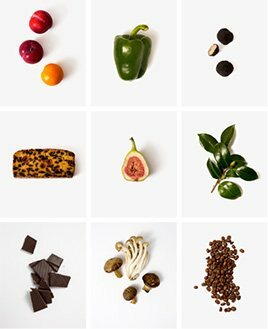 The finish is long, with plenty of sweet tannin. Very impressive! Three thousand cases of the 1999 were made from a blend of 85% Merlot, 10% Cabernet Franc, and 5% Cabernet Sauvignon. Last year it seemed to reveal an element of dilution, but as always, the truth is in the bottle, and presently there is no evidence of lightness or liquidity. Anticipated maturity: 2006-2018. 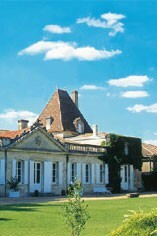 The Vieux Château Certan estate, which in 1745 already figured on Bellayme's famous map under the name of "Sertan", is located in the heart of the Pomerol plateau. Covering 14 hectares (35 acres) in one single block, the Vieux Château Certan vineyard is the fruit of a century of painstaking work and careful decision-making. The estate vineyard is today made up of 65% Merlot, 30% Cabernet Franc and 5% Cabernet Sauvignon.This varietal mix enables the best possible balance to be sought in each vintage between the Merlot and the Cabernet Franc. The latter performs exceptionally well in this terroir and reaches perfect ripness levels. The grapes are picked by hand and sorted meticulously at the end of each row of wines. After a gentle crushing they are put into oak vats, by variety. Those vats destined to make up the blend of the Grand Vin are run off into 100 % new French oak barrels and aged for 18 to 22 months. Vieux Château Certan is regularly ranked by the world's press and international tasting panels among the very top wines.